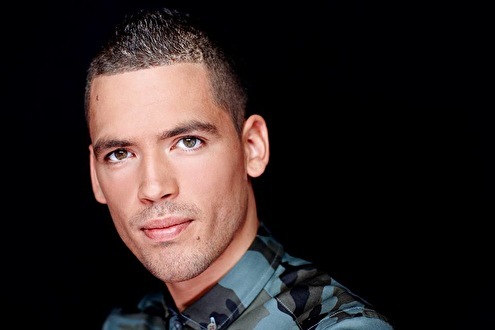 Dutch born and raised DJ Ralvero, or Ralf Baartmans as he's known to his family and close friends, is from Roosendaal, a small city in the south of the Netherlands. From a very early age he was fascinated by music and always practicing on pots and pans before finally getting his first professional drum lessons. After practicing and developing his drum skills for six years, Ralvero was ready to unleash his own produced tracks to the world. 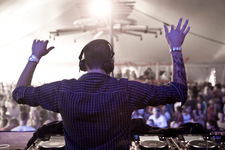 His very first release "Party People" back in 2009, was picked up by leading dance label Sneakerz MUZIK, a subsidiary of Spinnin' Records, and was one of the fine and early examples of the now popular "EDM" sound. 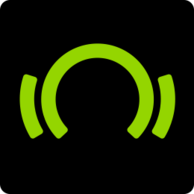 It was supported by all the heavy hitters in the game, including international stars like Chuckie, Laidback Luke, Axwell, Carl Cox and many others. The track made it to countless compilation albums and is still considered a classic dance floor filler which, to this day, pops up in playlists around the world. Due to the popularity of the "Ralvero sound" he was asked to do remixes for labels such as Defected , Strictly Rhythm , and Ultra . 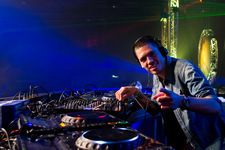 His version of "De Bos – On The Run" for Cloud 9 was one of the most stand-out remixes according to Ralvero himself. Next to his great production skills he was fine-tuning his DJ skills and was asked to join 1Management agency back in 2010. The immense popularity of his sound led him to perform all over the world in places like Dubai, Sydney, Melbourne, Athens, Istanbul, Paris and London. Back in 2011 his track "In My Bedroom" (featuring the vocals of Dadz-N-Effect) was a huge hit in almost all Balkan countries like Serbia, Albania, Croatia and Greece, where he scored a #1 dance hit. Soon enough Turkey got a hold of this and the track was renamed "In My Bodrum" (Bodrum being a very popular holiday spot). 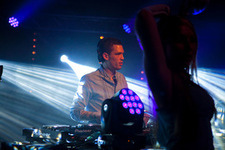 In 2012 Ralvero was performing in Turkey on a monthly basis playing in the biggest and most popular clubs in cities like Istanbul, Izmir and Ankara. Due to his uplifting DJ performances 'In My Bodrum' reached #1 in Tukey and was branded the summer anthem of 2012. Recieving more than 10 million views on YouTube, it was unquestionable the track still has massive appeal. Ralvero is gearing up to release more productions in 2013. After signing with Spinnin' his new 2013 track 'Jackpot' in collaboration/co-produced with fellow Dutch DJ and producer Quintino is a fine case in point of merging the new generation "EDM" sound and putting their unique stamp on the international dance scene. 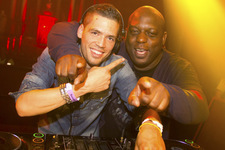 The release was a huge succes and got supported by DJ's like Tiesto, Diplo, David Guetta and others. Ralvero's self produced tracks 'Rage' and 'Xtreme' were both released on Hysteria, (Bingo Players label) and both reached the top charts on Beatport. 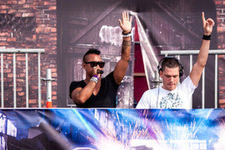 They were heavily supported by Hardwell, Bingo Players, David Guetta, Tiësto and Swedish House Maffia to name just a few. Looking at the future, Ralvero is focused on bringing his trademark sound to the world as a next generation DJ and producer. His personal goals to grab the music scene by the horns and perform in as many countries as possible are within reach. 2013 is set to be the year of Ralvero's breakthrough with his cracking and defining sound. Nummer 13 in de reeks. Betekent dat een ongelukkige editie van Nope is Dope? Aan Suyano en Ralvero zal het niet liggen, want die breken de tent af samen. Draaide zeer goed afgelopen zaterdag op Fuze!! Je draaide juist HEERLIJK! 04-07-2010!! DIE GAST HOORT NIET THUIS IN DE HOUSE SCENE! Ga zo dooor! Hij draait nou voor Sneakerz he...­ moet ff veranderd worden..­ RESPECT! Jij komt er zeker wel!!! 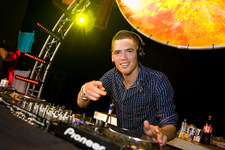 Je bent echt een geweldige DJ!!!!!!!!! Zoals jou is er echt maar een!! je gaat lekker op weg zoo!!! miss kom k een keer mee kijken met mellie! je nóg meer fans krijgen! Party People is zwaar baas! bizar hoe 1 track je carriere voorruit helpt! Je Remix van De Bos - Get Down is de bomba! Ga zo door gast! 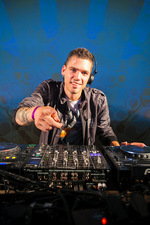 deze gozer staat zaterdag 19 september gewoon weer los te gaan op de geweldige beats van Ralvero !!!!! sneakers festival here whe come !!!!!!! stuur me maar een cdtje op. Jij bent mijn held! Was super afgelopen zaterdag @ Panama Volgende keer weer hoor! 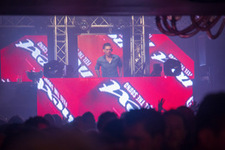 Word zaterdag zeker weer top feest !! !